TORONTO – The Sound of Dragon Music Festival is coming to Ontario from May 20-May 24, introducing new audiences to a spectacular musical event rooted in Chinese tradition but distinctly Canadian fare. Erhu, pipa, zheng, sheng, and ruan share the stage with violin, viola, cello, bass, flute, and clarinet, and combine with various percussion instruments from around the world. With concerts and workshops presented by Toronto’s Small World Music (as part of their Asian Music Series), the Fort York National Historic Site, Markham Theatre, Sunfest-London Committee for Cross Cultural Arts Inc, and Waterloo’s Neruda Arts, the festival brings a unique approach to preserving authentic traditional music, while promoting creativity and innovation. 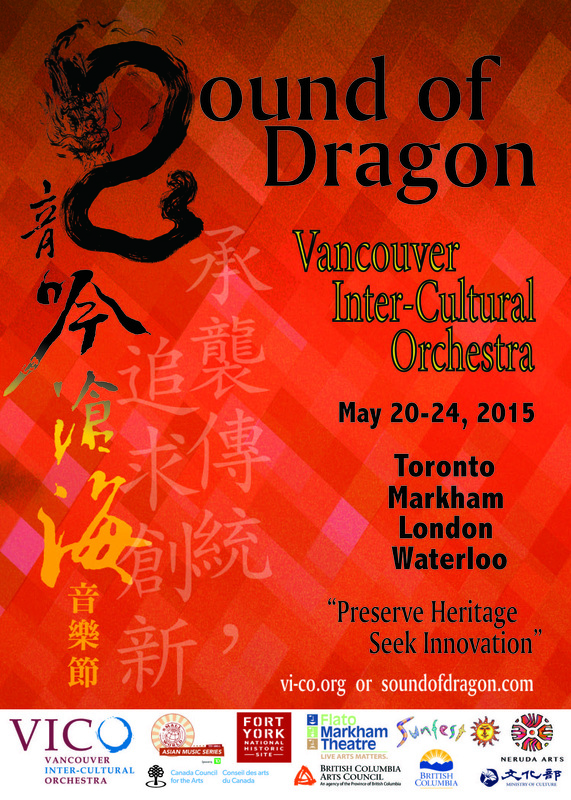 This marks the Ontario debut for both the Sound of Dragon Festival and The Vancouver Inter-Cultural Orchestra. For more information, please visit www.vi-co.org. 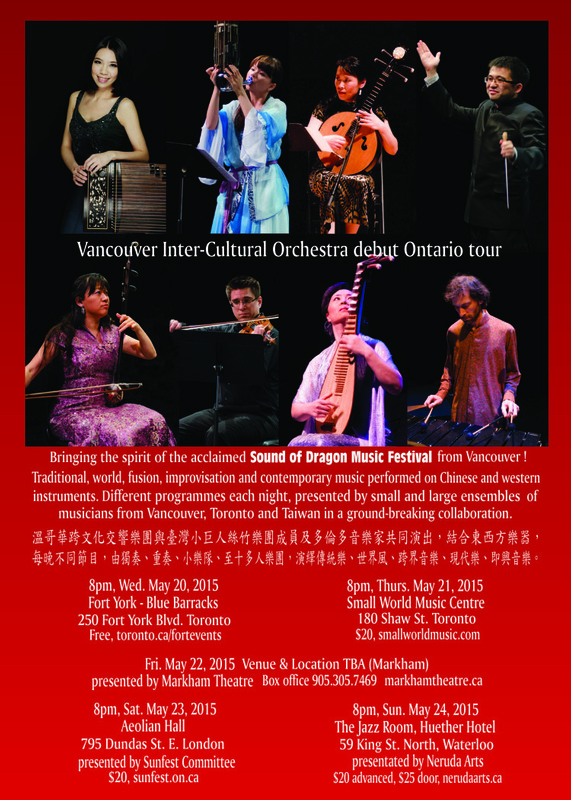 The Sound of Dragon Music Festival which originated in Vancouver in 2014, features members of the Vancouver Inter-Cultural Orchestra (VICO) in collaboration with musicians from Taiwan and Toronto to intertwine diverse styles: ancient folk and classical repertoire, contemporary compositions, world, fusion, and creative improvisation. By presenting musicians from different ethnicities, nationalities, and musical trainings/genres, Sound of Dragon re-defines Chinese music and reflects Canada’s multicultural environment. The programming will sample the music from Vancouver’s inaugural festival with the input of Ontario and Taiwanese collaborators, while VICO shares with Ontario music communities and audiences the unique inter-cultural musical experience with its original repertoire accumulated over the past decade in its debut performance outside BC. This international, innovative project celebrates the 2015 Asian Heritage Month of May with superb music and world premieres. This concert is the meeting ground of musicians from Vancouver, Taiwan and Toronto. Members of the Vancouver Inter-Cultural Orchestra and Taiwan’s Little Giant Chinese Chamber Orchestra will open the night with solo, duo, and ensemble performances of traditional and contemporary music for Chinese instruments. They will be joined by percussionist Rick Sacks, saxophone player Danny Oore, and suling/Indonesian flute player Andrew Timar from Toronto to explore and improvise in various unique instrumentations. This concert includes the Toronto premiere of Vancouver composer Lan Tung’s Ba Ban Variations and Taiwanese American composer Chih-Chen Wei’s Between Stream and Hills III. As part of Small World’s Asian Music Series, this concert will present a small ensemble made up of players from the Vancouver Inter-Cultural Orchestra and Taiwan’s Little Giant Chinese Chamber Orchestra. This lively program presents a unique interpretation of folk music as well as original works with influences from Indian, Klezmer, Persian, Chinese, Taiwanese, and even Beatles music! Joining the ensemble are Toronto pipa virtuoso Wen Zhao and clarinetist Bob Stevenson. This concert will feature Taiwanese American composer Chih-Chen Wei’s Between Stream and Hills III and give the Toronto premiere of Vancouver composer John Oliver’s Eagle Flies to Mountain . The festival’s main concert features a 14-member chamber orchestra of Chinese and western instruments, conducted by maestro Chih-Sheng Chen from Taiwan. The Vancouver Inter-Cultural Orchestra’s core group is augmented by musicians from Taiwan and Toronto to perform its unique repertoire accumulated over the past decade. The Chinese classics Er-Quan and Dragon Boat, arranged by Mark Armanini, are performed alongside original compositions including Farshid Samandari’s Axiom Praxis and a world premiere of Lan Tung’s Ma Chao, which fuses Beijing Opera with energetic grooves. 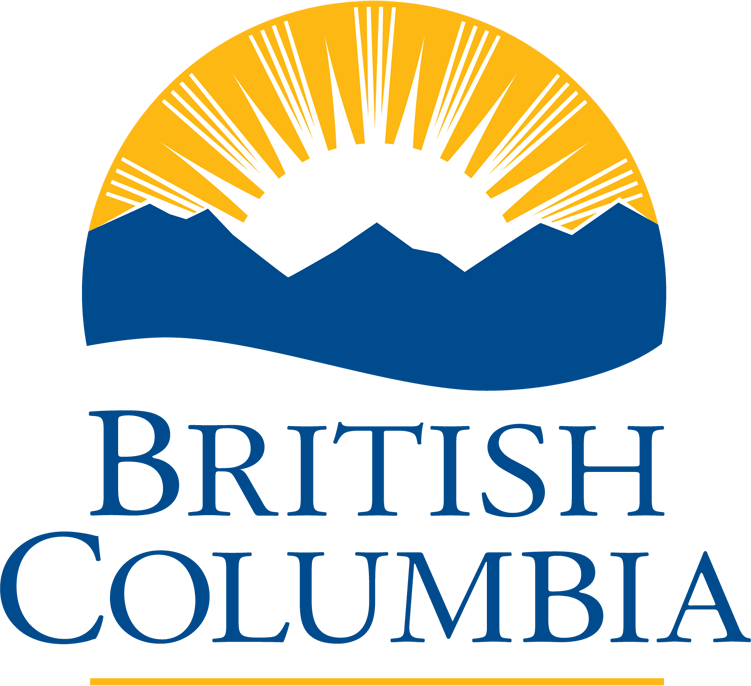 The London and Waterloo concerts will present a small ensemble made up of members of the Vancouver Inter-Cultural Orchestra, with special guests from Taiwan’s Little Giant Chinese Chamber Orchestra. This international collaboration brings together erhu (Chinese violin), sheng (Chinese mouth organ), zheng (Chinese zither), ruan (Chinese lute), western violin and world percussion to present a lively program of unique interpretation of folk music as well as original works. The influences include Indian, Klezmer, Persian, Chinese and Taiwanese.